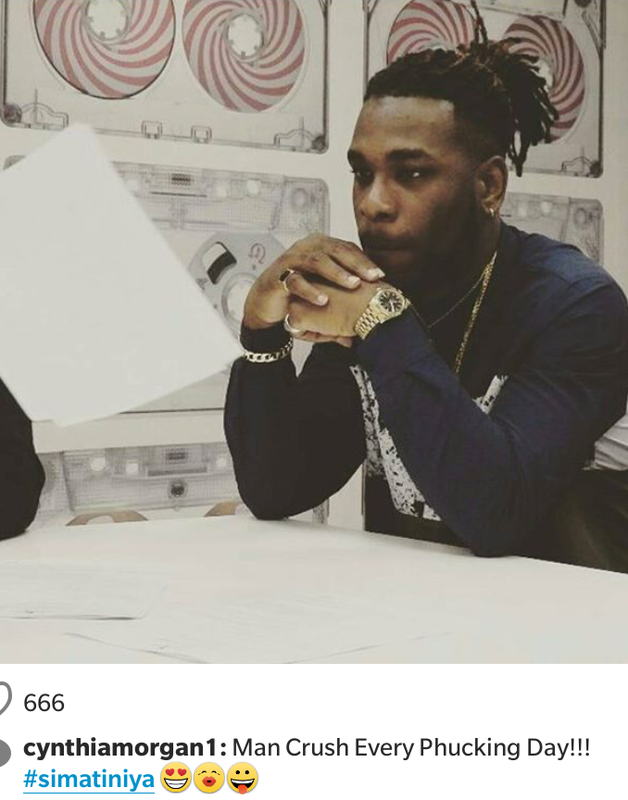 There seems to be a thing between Cynthia Morgan and Burnaboy. Or she just wants us to believe that. Apart from posting kissing photos, she just called him her man crush every day *women don't just label a man that unless he is really special*.